Having survived the longest night of the year, I guess I'm ready to survive the next four years. That's as much as I'm going to say about the election. I'll continue, as I have for 46 years now , working and singing for peace, justice, labor rights, feminism, equality and environmental justice. I am so very grateful to have all of you in my life and thank you for your kindness, goodness, generosity of sprit, and dedication to progressive ideals. Merry Solstice, Merry Christmas, Happy Chanukah, Kwanzaa and any reason you can find to celebrate! Now, I've always thought that I am a very difficult person to surprise. .
Well, my dear readers and Fellow Travelers, you couldn't possibly be as surprised upon seeing this news as I was when my daughter presented me with this new CD. The beautiful CD cover is the work of my wonderful husband, Julie Leonardsson. This surprise recording project was visualized by my daughter, Amy Sue Berlin, in early 2016. With hopes of a MayDay release, Amy sent a list of songs that I've written to a bunch of performers.The performers selected songs, and in studios all over the country, recorded them, and then donated the masters to Amy. As the songs slowly began to arrive, Amy changed the release date from MayDay to my birthday (July 1st), then to Labor Day. All of this was a TOTAL secret from me until she handed it to me a couple weeks ago. I am so overwhelmed, amazed and grateful that so many people in so many places put so much love and good energy into this project without breathing a word to me. https://annefeeney.bandcamp.com/releases is the way to get your hands on this 16 song CD and I hope that you will. None of my considerable life experience prepared me for this beautiful tribute. Please forward it to all your trouble-making and music loving friends! Few have raised as much hell with an acoustic guitar as @annefeeney has. Benefit tribute album for her out today! Check out "War on the Workers," the tribute album to my friend, the magnificent songwriter / activist Anne Feeney. 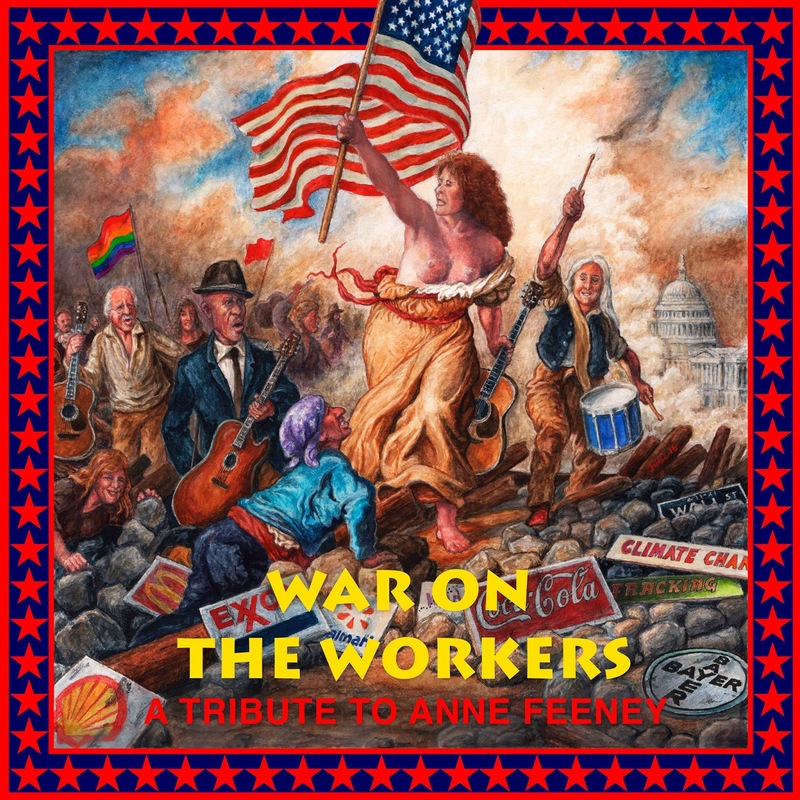 The CD features Holly Near, emma's revolution, Dan Bern, Peter Yarrow and more, covering Anne's compelling incendiary songs. For decades, I’ve held Anne in great esteem: for her determined heart, her passionate commitment to justice and the way she’s lived the messages of the folk tradition (just as Peter, Paul, and Mary did) putting her life and her presence out there to speak about and sing about what needs to be shared. I'm hoping to be driving/touring to Florida in March and then go (slowly) from SF to Vancouver/Victoria this summer. If you have any ideas about where I could perform, drop me a line. Price: $variableI'll have my new CD with me!! Price: FREE - Be there!! I really need to get this out, so thank you for reading this. I hope you enjoy my new CD and that our paths cross on the road in 2017.